Students in Grades K—7 are welcome to submit one 2-D entry. Must be mounted on construction paper, mat board or poster board to be accepted. Judges will award one Best of Show overall and one Honorable Mention for each grade. 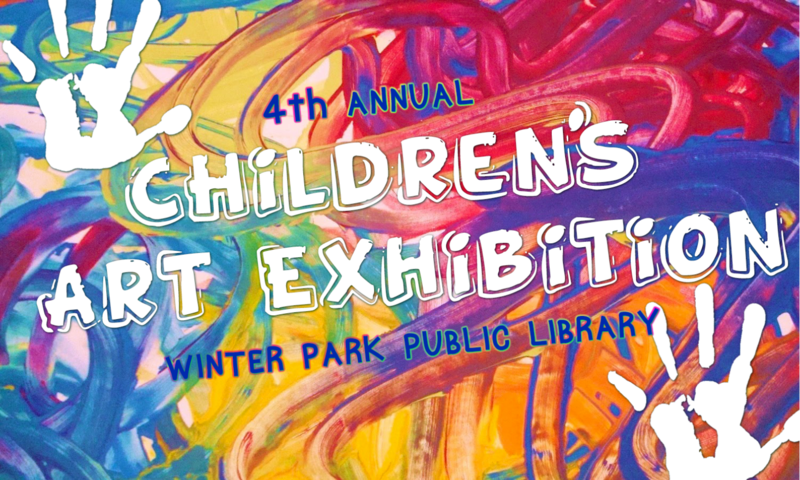 The show runs April 1—30 at the Winter Park Chamber of Commerce during open hours. Deadline: Sunday, March 31, 4:30pm. Deliver to the Winter Park Public Library Youth Services, 2nd floor. Please pick up your art work at the Library from May 1 to May 15. Print the attached submission form or pick one up at the Library.